Charge your electronic device using solar power, anytime and anywhere. Portable, convenient and easy to carry. Can be easily affixed to windows or any flat surface using the included suction cups. Folds down into a small package and weighing next to nothing, the solar charger adds minimal weight and size to your backpack, or fits easily into the car. 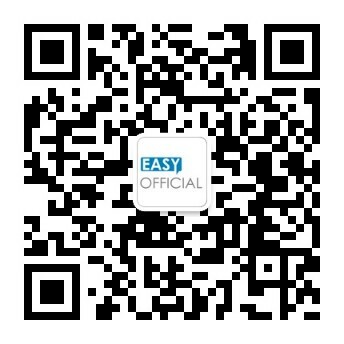 Can charge any device via USB cable. 1. 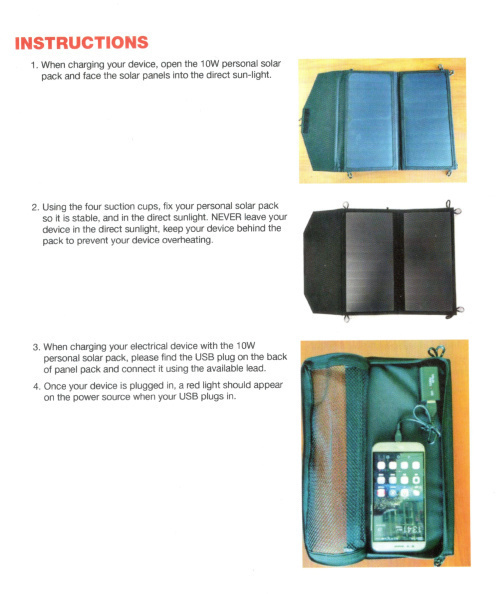 When charging your device, open the 10W personal solar pack and face the solar panels into the direct sun-light. 2. Using the four suction cups, fix your personal solar pack so it is stable, and in the direct sunlight. NEVER leave your device in the direct sunlight. 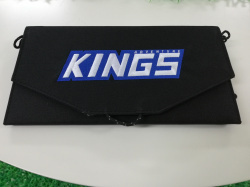 Keep your device behind the pack to prevent your device overheating. 3. 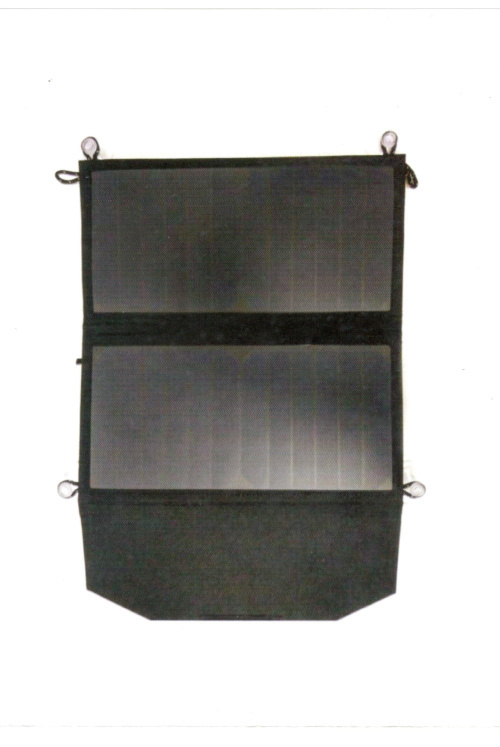 When charging your electrical device with the 10W personal solar pack, please find the USB plug on the back of the panel pack and connect it using the available lead. 4. Once your device is plugged in, a red light should appear on the power source when your USB plugs in. 1.Lead included is just a standard lead. We recommend using the USB charging lead compatible with your device from the original manufacturer to charge your device. 2.A typical smart phone will take between 2-4 hours to charge with sufficient sunlight. 3.A tablet may take longer (somewhere between 10-12hours).